The use of social media by medical professionals and organizations is increasing, with Twitter receiving the most attention. User engagement is an important goal of social media activity, and engagement metrics represent a viable gauge of value in social media. 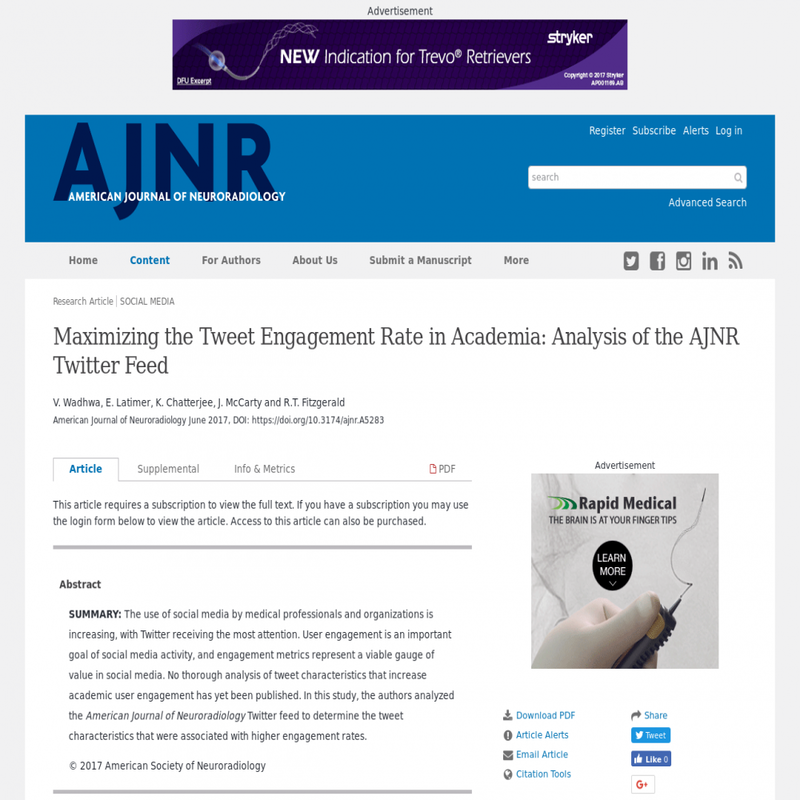 No thorough analysis of tweet characteristics that increase academic user engagement has yet been published. In this study, the authors analyzed the American Journal of Neuroradiology Twitter feed to determine the tweet characteristics that were associated with higher engagement rates.